We are passionate about spreading the joy of kindness and looking forward to sharing our mission with you. 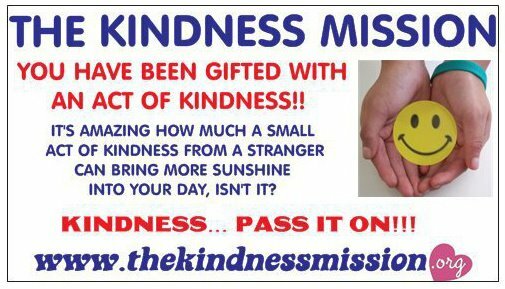 The Kindness Mission is an organization dedicated to getting everyone involved with each other, spreading the joy of kindness and making this world a better place. Imagine what a wonderful world we would have if every visitor to this page agreed to do a random act of kindness EVERY DAY! Be sure to check out our suggestions for spreading the joy of kindness on the Kindness Suggestions tab.